Edmonton: What Were the Costs for Adding Floor Heating to a Bathroom? Edmonton, the capital of Alberta, Canada, is located on the North Saskatchewan River and at the heart of the Alberta Capital region. Heavily populated, the city is Alberta’s second largest and Canada’s fifth largest municipality. Edmonton is also a cultural, governmental and educational center hosting an annual schedule of popular festivals, earning it the nickname “City of Festivals.” It also houses North America’s largest mall, West Edmonton Mall (the world’s largest mall from 1981 to 2004) and Fort Edmonton Park, Canada’s largest living history museum. The median selling price of a single family home in Edmonton was $365,000* in June, according to the Realtors Association of Edmonton. The association noted that the city has recently experienced lower sales and higher inventory, which means it’s a buyer’s market. 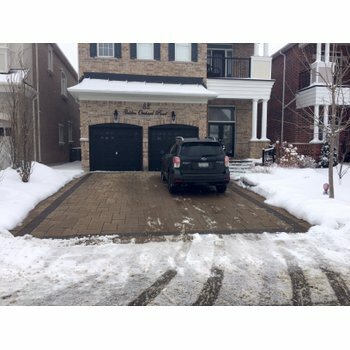 Those selling a home in the Edmonton area will be interested to know that a home containing electric radiant heated floors tends to raise the resale value and attract new buyers. With milder winters than either Regina or Winnepeg, Edmonton winters typically last from November to March, and temperatures can get down to 13 degrees Fahrenheit (-10 degrees Celsius). That results in a chill that’s hard to kick! 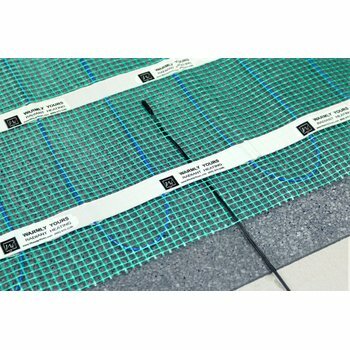 Radiant heating is an affordable solution to those cold floors. Bathrooms and kitchens are the most popular applications, but radiant heat is ideal for any room in the home. 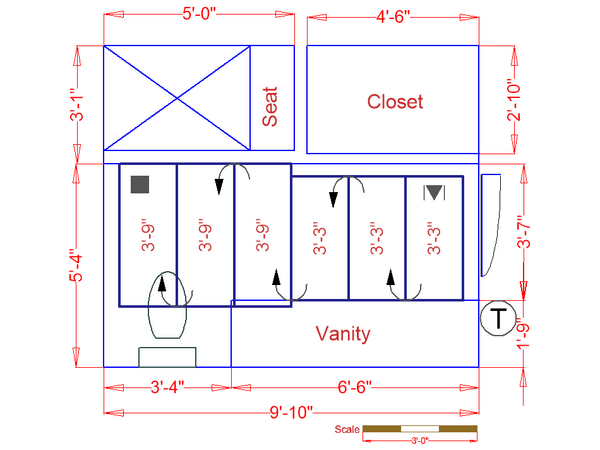 In this instance (see floor plan), radiant floor heat was employed to heat a small 80-square-foot bathroom. A 1.5' x 21' TempZone™ Flex Roll was used for a cost of less than $400, or the equivalent of $12.50 per square foot. If you choose to add a SmartStat™ programmable thermostat, which costs $169, your total bumps up to $562.75. That’s still less than $600 to bring comfort to your daily routine! In addition, the cost to operate the floor-heating system is quite low. It costs only 10 cents a day to heat this bathroom, according to WarmlyYours' Energy Use Calculator. This tool factors in the average kWh cost in Edmonton, which is just under 12 cents. During the coldest month of the year, it costs about $9.46 to run the system. All year long, it's estimated to cost about $51.60, according to WarmlyYours' Heat Loss Calculator. Along with factoring in the average kWh cost in Edmonton, this tool estimates the desired room temperature, sealing factor, surrounding rooms and insulation factors to determine whether radiant heat can be the sole source of heat for the room and how much the operating costs will be. 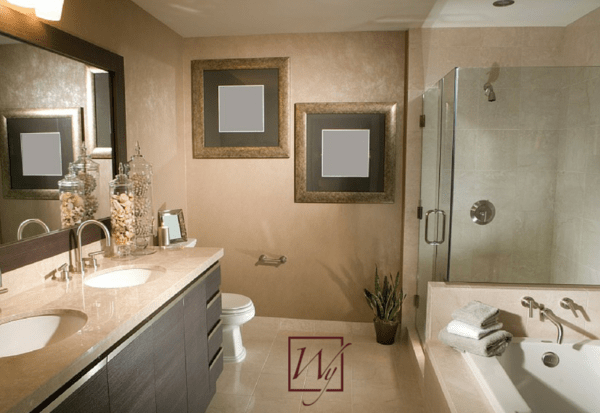 This system can be the primary source of heat for the room, so there won't be any additional heating bills for this bathroom, which is an added benefit. 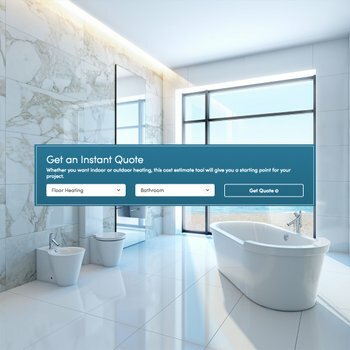 To find out the cost of adding in-floor heating to your bathroom — or any other room in your home — simply check out WarmlyYours' Instant Quote tool online. This tool will show you the exact product you need along with the corresponding cost. And, it gives you the option to upload a drawing or image of your room's floor plan so that our sales team can provide you with a customized installation plan. This detailed plan shows you exactly where the electric floor-heating system will be located and specifically how it will be laid out for optimal functionality. If you have any questions, please call us at (800) 875-5285 and one of our friendly, experienced account managers will be glad to help. Last but not least, when you are ready to install the product, our 24/7 technical support experts are on hand to guide you every step of the way, day or night.